Listed in the Best Lawyers in America, Don Davis is the managing partner at Byrd Davis Alden & Henrichson, LLP. Mr. Davis focuses his practice in the areas of Products Liability; Aviation Law; Medical Malpractice and Injury and is Board Certified in Personal Injury Trial Law by the Texas Board of Legal Specialization. Mr. Davis has tried cases in both state and federal courts in Texas, Oklahoma, Washington, Oregon, California, Mississippi, Illinois and Louisiana. His cases include plaintiff's personal injury claims against most of the major automobile manufacturers in the United States and Europe and corporations such as the American Tobacco Co., Cessna Aircraft Co., Yamaha, Travelers Insurance Co., Ensearch Corp. He has successfully litigated against The United States of America and in 2006 recovered $6.75 Million (after attorney's fees and expenses) for a class of utility customers who were charged for fees they were exempted from paying. A Fellow in the American College of Trial Lawyers since 1995, Mr. Davis is admitted to practice and has argued cases before the United States Supreme Court, the United States Court of Appeals for the Third, Fifth, Ninth, Tenth and Eleventh Circuits and has tried cases before the Federal District Courts in the Southern, Northern and Western District of Texas. 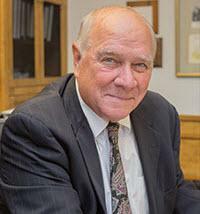 Don Davis is listed in Martindale-Hubbell's Bar Register of Pre-Eminent Lawyers comprised of select firms and attorneys who have earned the AV Peer Review Rating. An AV rating shows that a lawyer has reached the height of professional excellence, has usually practiced law for many years and is recognized for the highest levels of skill and integrity. Mr. Davis is a faculty member of the Page Keaton Civil Litigation Conference, an annual conference for attorneys sponsored by the University of Texas School of Law and is a frequent speaker and author of numerous articles for the continuing legal education of fellow attorneys on matters relating to wrongful death, products liability, medical malpractice, jury selection and settlement negotiations to name a few. Among his professional memberships, Mr. Davis is a Sustaining Member of the Federal Bar Association, a Life Fellow of the Texas Bar Foundation and a Fellow of the American Bar Association. He is also a member of the State Bar of Texas, the Texas Trial Lawyers Association, the Association of Trial Lawyers of America, the American Bar Association and the Austin Bar Association. An avid sculptor and golfer, Mr. Davis has created numerous original sculptures for the PGA Tour, the PGA of America and the LPGA Tour.